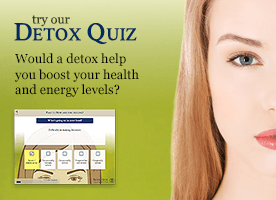 Q – I have read a lot to suggest that inflammation is the cause of many illnesses. Is there any good way to tell if you are suffering from inflammation, before it starts to take its toll? A – The first thing to know about inflammation is that not all inflammation is bad. There are actually two types. Acute inflammation is what you experience when you have a cut or wound. When you accidentally bang your thumb with a hammer or graze a knee the area around the wound becomes red and inflamed. This is a natural biological reaction that amongst other things helps stem the flow of blood and provides a protected area around the wound to help it heal. Likewise, when you have a cold or other illness, the inflammatory process, which is linked to your immune system, helps marshal reserves in the body to help you get well. When the inflammation response is doesn’t switch off or becomes prolonged however it becomes chronic inflammation, which is another thing entirely. As you rightly say it has been this type of inflammation has been implicated in a wide range of degenerative human health disorders encompassing almost all present day diseases including autoimmune diseases, obesity, diabetes, atherosclerosis and even depression. Doctors might look for signs of inflammation by monitoring levels of certain substances in your blood. If you have inflammation in a part of your body then extra protein is often released from the site of inflammation and circulates in the bloodstream. The erythrocyte sedimentation rate (ESR), C-reactive protein (CRP) and plasma viscosity (PV) blood tests are commonly used to detect this increase in protein. In this way they are used as markers of inflammation. Without such tests diagnosing inflammation is harder. 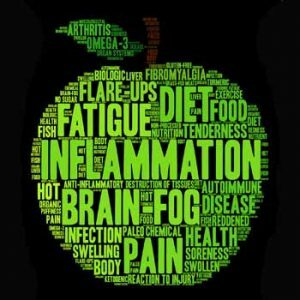 It would be great to be able to provide a simple list of the signs of chronic inflammation but usually there aren’t any, until you start to feel ill.
That means chronic inflammation works away in the background and becomes a low-grade, systemic problem that little by little over time damages tissues often over a period of years. Worse, while inflammation can cause disease, disease can also exacerbate inflammation and you can get caught in a cycle where one feeds the other. Having said that, there are certain lifestyle factors that can indicate you may have low grade chronic inflammation. Chronic stress takes a deep toll on the body, keeping it in a flight or fight mode which releases high levels of stress hormones into the bloodstream. These stress hormones keep us alert and awake; they push our heart rate up and often interfere with sleep and prevent us from relaxing fully. Chronic stress is an indication that there is an imbalance in our life. Whether you are experiencing stress now, or you have recently been through a period of stress, you need to take steps to rebalance and repair the damage as well as build in some reserves to prevent further damage. For tips on reducing stress see our article De-stress, naturally, and related links. If you have a poor diet it is likely you also have low grade inflammation. A Western-style diet, which encourages the overconsumption of over-refined sugars, highly refined and saturated fats, animal protein and a reduced intake of plant-based fibres, has been linked to the increased prevalence of diseases with strong immunological and autoimmune components such as allergies, food allergies, atopic dermatitis and obesity. One study found that the Western diet actually increases levels of certain naturally occurring hormones and chemicals in the body which are linked to inflammation, whereas a Mediterranean-style diet rich in plant-based foods, healthy oils and fibre may be more beneficial. Our habitual way of eating also disrupts the natural flora of the gut, necessary to maintain a strong immune response. For more on diet and inflammation see our story Address diet to reduce inflammation & chronic disease risk, and related links. People who suffer from chronic insomnia, are at greater risk of a whole range of diseases including cardiovascular disease, hypertension, weight gain, type-2 diabetes, and can even lead to an earlier death. The reason for the increased risk of health problems is thought to be an association between insomnia and an increase in chronic inflammation. This is related to the problems that stress cause – an inability to fully rest and recuperate. Recent evidence shows tackling insomnia can help decrease inflammation. For natural ways to tackle sleep problems see our article How to get a good night’s sleep, and related links. Keeping your blood sugar under tighter control – whether you have pre-diabetes or diabetes, or not – is an important way to keep inflammation down. In response to high intakes of sugar the body releases insulin to help normalise blood sugar levels. Chronically high insulin levels speed up your body’s aging processes, and your body can actually become less responsive to insulin and insulin resistance is a hallmark of most chronic diseases. Avoiding sugars and grains, and getting regular exercise are two of the most potent ways to help normalise insulin levels and avoid insulin resistance. For managing blood sugar see our article A natural approach to diabetes prevention, and related links. For more on good sources of fibre see our article Beyond bread, rice and pasta – getting your head around good grains, and related links. High blood pressure like inflammation often has no real warning signs – until something goes wrong. Many cases of high blood pressure are related to lifestyle and improvements to diet (reducing salt and avoiding saturated fats) as well as a sedentary lifestyle and stress. High blood pressure is also a good example of how inflammation and disease can feed each other. In one study for example scientists found that the combination of the two was especially dangerous for women, elevating their risk for both heart attack an d stroke by as much as eight times. For more on hypertension see Healthy foods that can help lower blood pressure and Yes, natural treatments for hypertension can work, as well as related links.